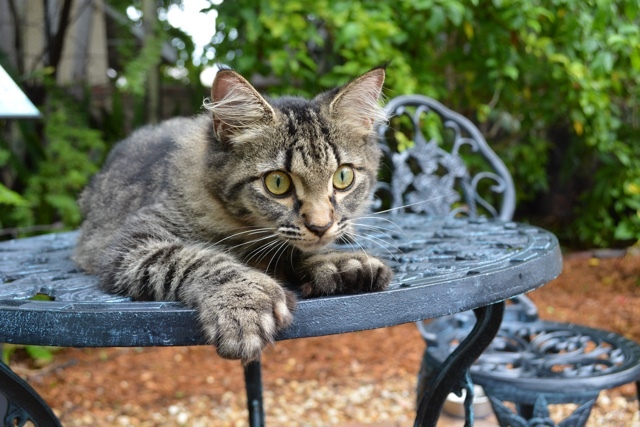 Ernest Hemingway’s Cats – the best part of the Florida Keys? Being Canadian and not the biggest literature or english class fan growing up I knew Ernest Hemingway was a well known author but aside from that I didn’t know too much about him, his writings, his partying ways and his cats. 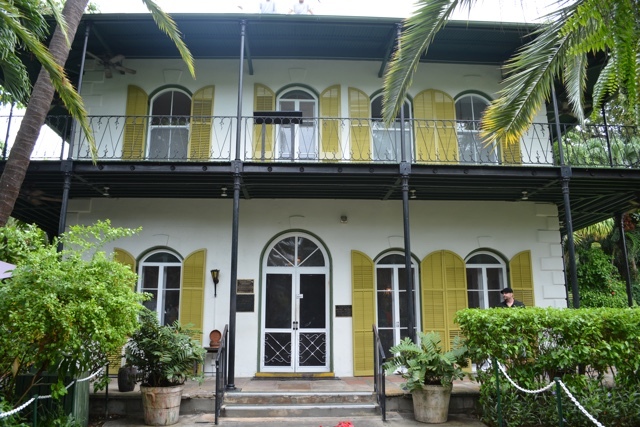 While visiting the Florida Keys last December however a visit to his house now turned museum was on our agenda. Everyone that I told that I was visiting the area also highly recommended my visiting. I went just to go and see what all of the fuss was about and I soon didn’t want to leave. 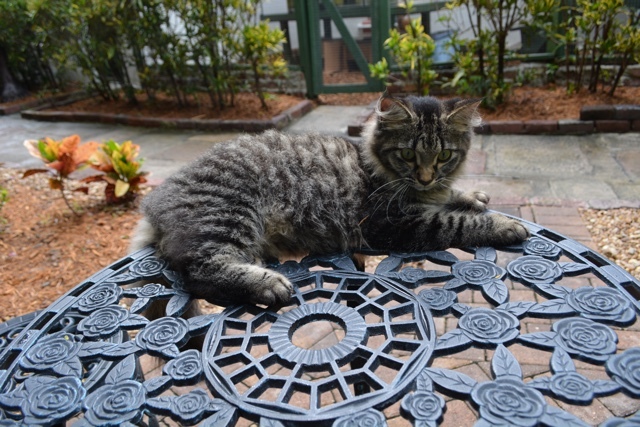 The Ernest Hemingway House in the Florida keys is a great place to learn about him, and his history and it has also become somewhat of a sanctuary for Hemingway’s cats with 40-50 of them living on the property. 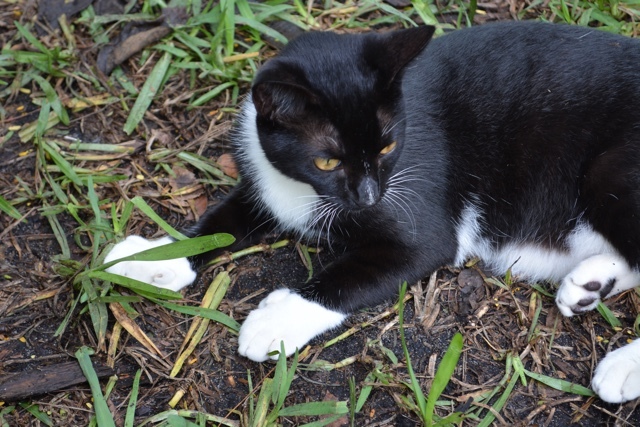 At one point in his life Hemingway was given a cat by a ships captain (Captain Harold Stanley Dexter) which was named Snowball along with one if its kittens which he named Snow White. He became enamoured with cats after a trip to Cuba and now two has turned into many. It is believed that many still living at the house today are Snowball and Snow White’s decedents. You might be saying “So what its just cats”. But these cats are special! 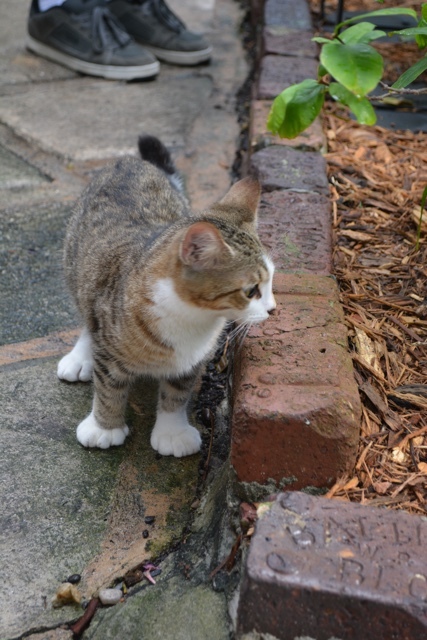 Snowball and Snow White were both polydactyl (six toed) cats and so are all of the cats that remain today. They are known for their extra fingers/claws that make it look like they have big baseball mitts for hands making them even more adorable then you could even think was possible. I took the tour of the house but about halfway through became too distracted by the cats and wandered off. While wandering I found my ideal cat. He was super playful and MEGA fluffy and chill and his paws were so cute! Here are more pictures of these adorable fluff balls. 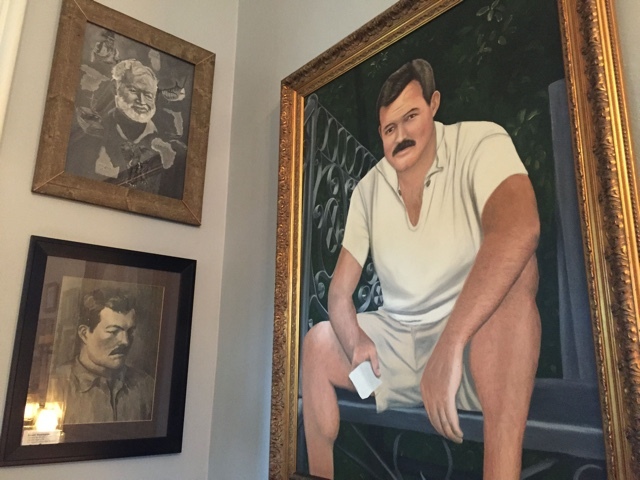 If you are asking “Should I visit the Ernest Hemingway House in the Florida Keys” my answer is a resounding yes! Because, CATS! By far my most favourite cat of all! 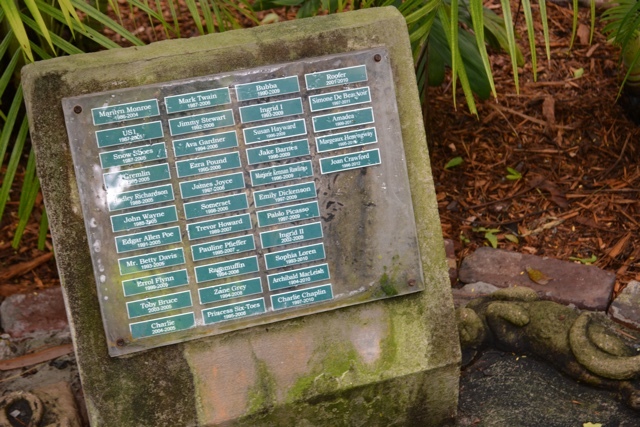 Not to end on a sad note but in the gardens on the property that you can stroll through you also come across the cat cemetery for all of the past cats that have lived at the Ernest Hemingway House. They all have their names on a placard as a nice little tribute you to them. Thanks to the Florida Keys for having me. As always all opinions, views and cat cuddles are my own. Thanks for the tip. I’m now way more enthusiastic about the literary history now that it involves mutant felines. Amazing photos Cailin! I’m a big fan of cats and have one beautiful cat called Theodora. 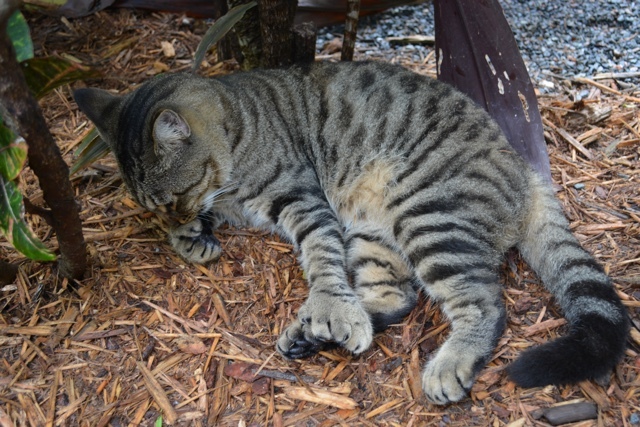 Six-toed cats … how unique! 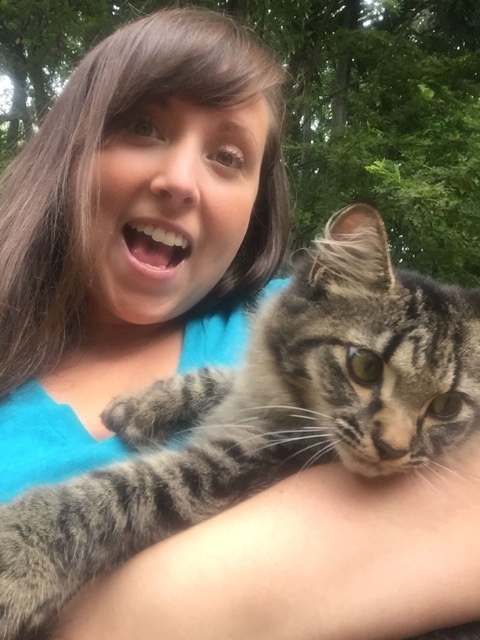 All of the ones you captured in this post are so adorable! I do love cats and dogs but cats are more melodious that captures really my attention. especially when they’re orange. I really like it, soo cute. Big cat lover here, I agree!